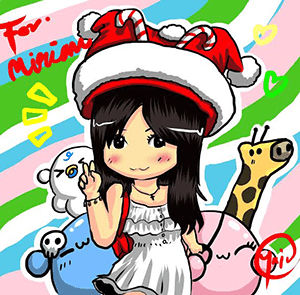 Hello merry-goers! Stand a chance to win HEROIC TRIPS to Seoul, West Hollywood, Italian Alps, New York City and go to Comic Con! The awesome, most awaited movie of the year Avengers: Age of Ultron is out! Have to watched it yet? So many people have pre-booked their tickets and I heard that most of the cinemas are fully booked especially for the first few days. Luckily for me, I was able to be one of the first to watch it thanks to Watsons Malaysia for the invite to the premiere of Avengers: Age of Ultron. Not only were we able to watch it on the big screen but also were able to snap some photos with some of the characters as well. But that is not all! On that special day Watson unveiled their special limited edition Watsons VIPCard with Marvel's Avengers stickers that fans can personalise. THis limited edition Watsons VIP Card can be purchased at Watson's stores or Online store at only RM20 for new sign up and upgrade. Hansen Lee who was the master of ceremony for the event was really excited to host the premiere screening and also to invite Mr. Danny Ho, Head of Marketing, Watsons Malaysia to announce a special treat for Watsons VIP Members as well! I personally have the Watsons VIP Card already but just look at the awesome Avengers card. I am sure to upgrade my existing card and get the new card and if you are a die-hard Marvel fan hurry and get it! 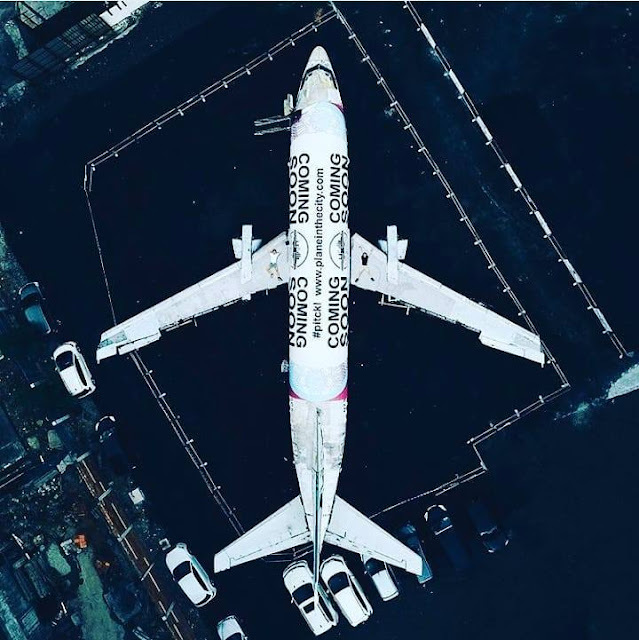 Not only that, Watsons is giving away 4 pairs of HEROIC TRIPS which were featured in the blockbuster movie to Seoul, West Hollywood, Italian Alps and New York City when you sign up or upgrade to the limited edition Watsons VIP Card or shop RM 80 at Watsons plus 1 Listerine item. This contest is organised in partnership with Johnson and Johnson. You will also be able to stand a chance to attend Comic Con in New York which tickets have already been sold out months ago! Can you just imagine going to Comic Con?? I know I would love to go! Of course most importantly, I was able to enjoy this action-packed movie with my darling girls and I would say if you are a Marvel fan to go catch this movie in the cinemas BUT do not have too high of an expectation especially for action scenes. I enjoyed the humorous scripts especially between Iron Man and Captain America especially Iron Man! Robert Downey Jr is seriously the best person to carry out that role and of course there is that love banter between Black Widow and Hulk but I am not going to spoil the movie with spoilers for you lovelies. Anticipate good acting from Quicksilver as well as Scarlet Witch but seriously Ultron is super cool although scary. There is a soft side to him beneath all that metal but well you have to watch the movie to find out more. Time for another glorious food post merry-goers! Are you ready? Let's go! Ribs, seafood and steaks are the three things that Tony Roma's are proud of but now with the new addition of their Farmer's Market menu, you will be sure to have an amazing experience dining at Tony Roma's. 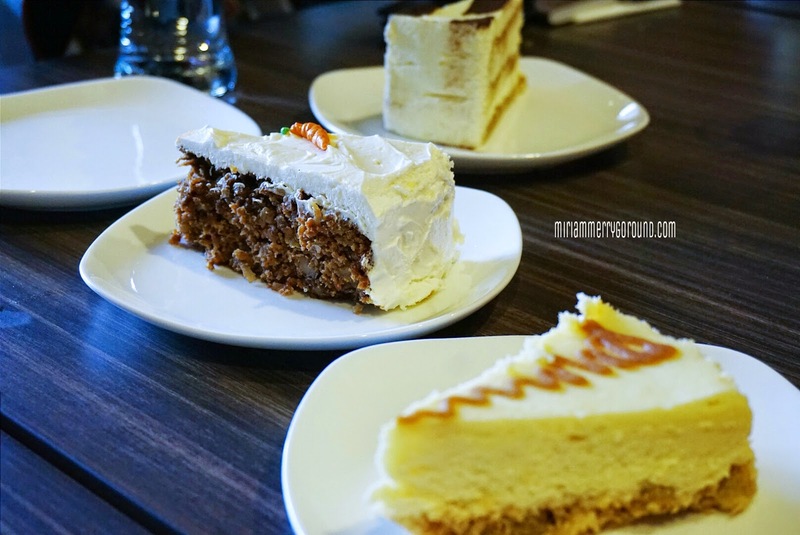 There are four new additions to the menu in Tony Roma's categorized under the Market Fresh Sampling and to pair these four new tantalizing dishes are four Market Fresh Pairing beverages as well. Start of by sampling their BBQ Shrimp Tacos (RM 27.45 incl. GST) with sweet black pepper BBQ sauce, cucumber and pineapple salsa. The crispy taco shells nicely holds the succulent shrimps which are generously coated with the BBQ Sauce. 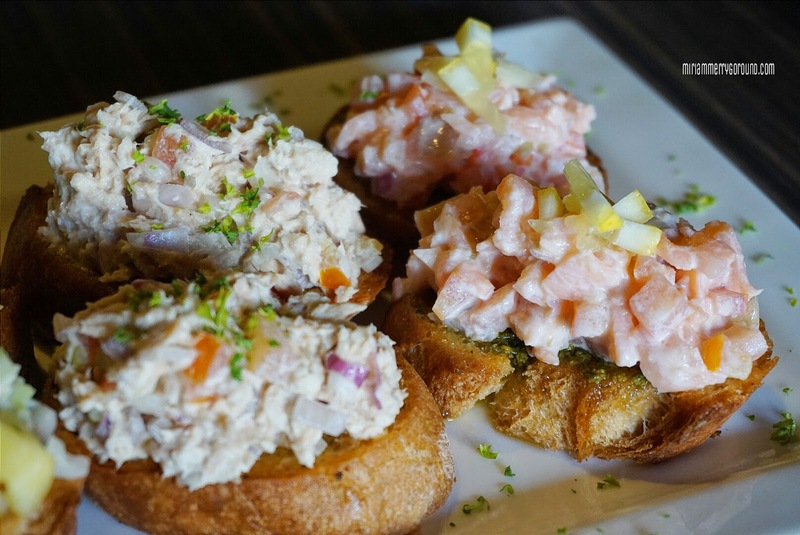 The dish is balanced with the cucumber and pineapple salsa making it a nice appetizer to start your meal. For a healthier choice, choose the Green Goddess Salad (RM26.39 incl. GST) which has grilled chicken, romaine lettuce, the secret Green Goddess dressing, sweet cherry tomatoes, avocado, red radishes, edamame, sliced almonds, cucumber and croutons. The Green Goddess dressing is the thing to take note of when you partake this dish as it is not just your ordinary salad dressing. It has 3 to 4 different types of dressing mixed to give you a well balanced, non-greasy dressing. 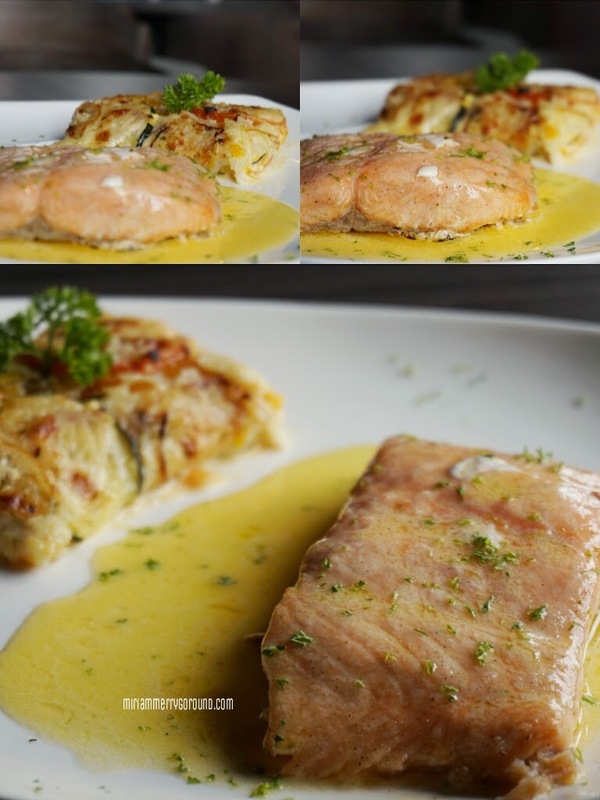 Now this is my favourite among the four which is the Salmon with Lemon Pesto Shrimp (RM59.25 incl. GST). 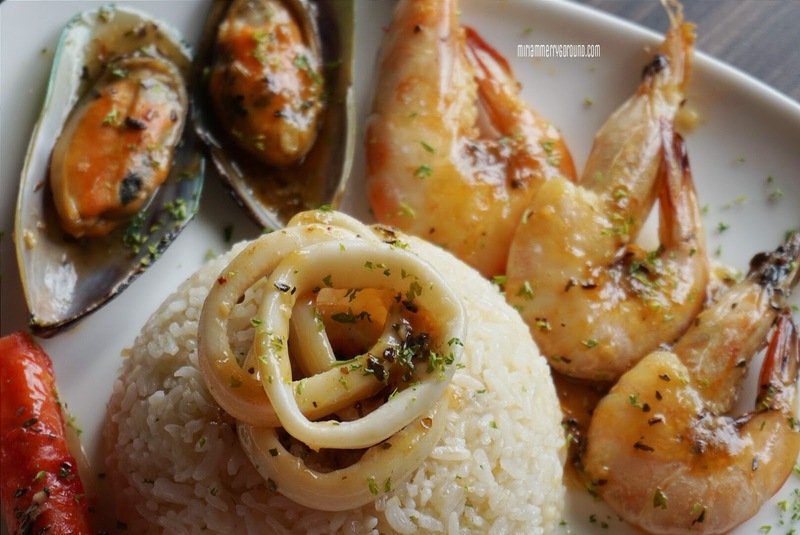 This dish is appetizing with lemon pesto butter, shrimp, rice and broccoli. The shrimp is really fresh and juicy promoting well the Farmer's Market saying and the lemon pesto butter is just to die for. Buttery fragrant rice cooked just the way I like it and really blends well into the dish. One downside was I would prefer the salmon to be not too well-done as it was slightly flaky and losing the pinkish hue. Now how can you say you have dine in Tony Roma's if you do not try their steaks? 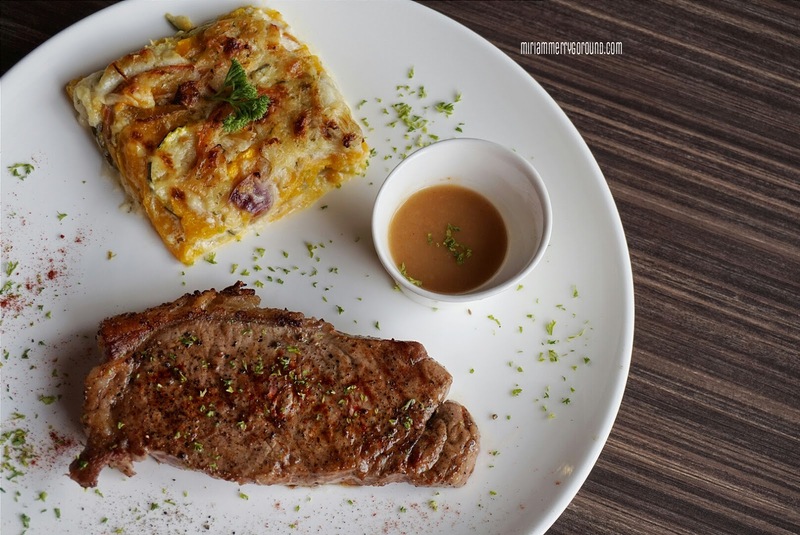 The Farmer's Market includes the Filet Medallions and Black Pepper Beef Ribs Combo (RM88.93 incl. GST) which is well marinated with sweet black pepper BBQ sauce, BBQ onions, loaded mashed potatoes and broccoli. The ribs were cooked nicely, sliding off the bones easily and the medallions was cooked medium well. Of course if you prefer a different cook to your meat, do let your server know. Slightly on the dry side, you can always request for more sauce or the Tony Roma's signature sauce to pair with your meat. To pair the Market Fresh Sampling, Tony Roma's have created four sweet beverages to complete the satisfying culinary experience. You can choose between the popular tart and sweet Romarita, strawberry lover's delight Strawberry Romarita, an adventurous mix of Mango Romarita or the fresh tasting Wild Berry Romarita. I ordered the Wild Berry Romarita because the colour looked so pretty but I personally recommend you to order the Romarita if like me you like tart and sweet drinks. The Wild Berry was slightly too sweet for my preference but the Romarita was fresh and really suits my preference. But of course you also have to check out the promotion that they are having at Tony Roma's too. 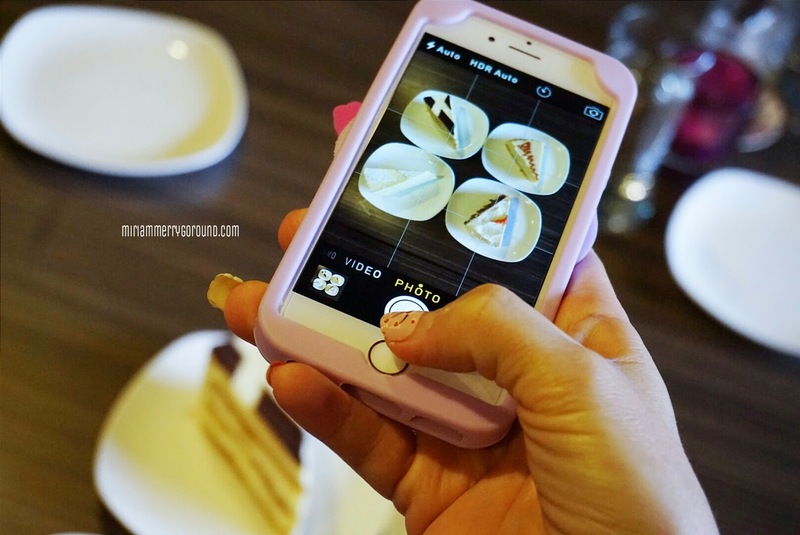 Win a Free Mother's Day treat for your mum by taking a photo of her dining at Tony Roma's, upload it on Tony Roma's Facebook page and write why your mum deserves a treat this Mother's Day in less than 50 words. For those who are looking for a place for lunch break, stop by Tony Roma's and check out their lunch break promotion which comes with a bowl of soup and bottomless drink from RM 16.90. How many of you are contact lens users? I am sure although there are many pretty merry goers out there who love wearing contact lenses either to change the colour of their eyes or even those that can give you anime-like eyes. 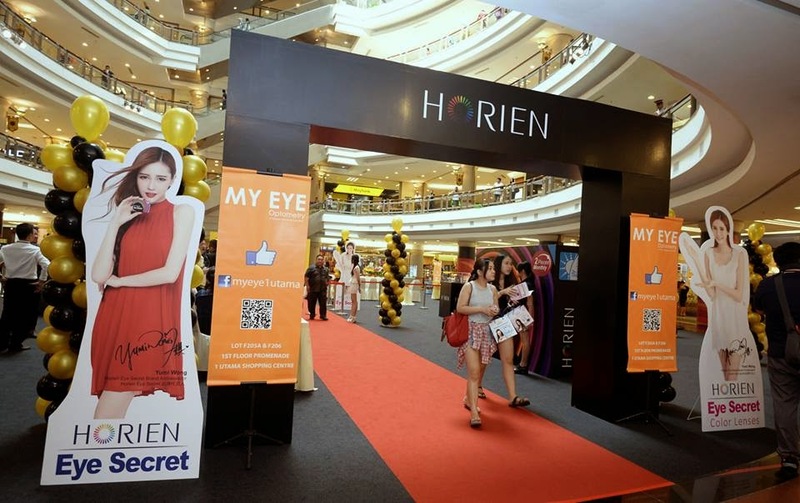 To my delight, I found out that Horien contact lens is coming into Malaysia! 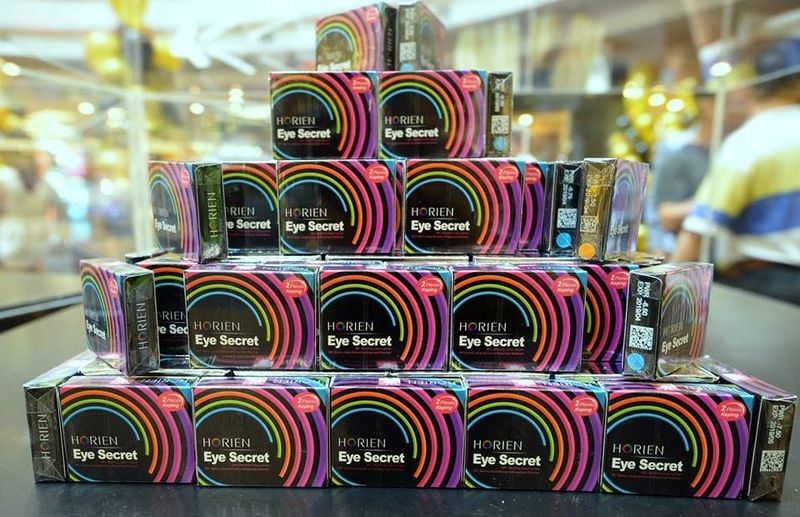 If you merry goers have not heard of Horien, it is actually a popular contact lens manufacturer that boast of being one of the most comfortable contact lenses in town. 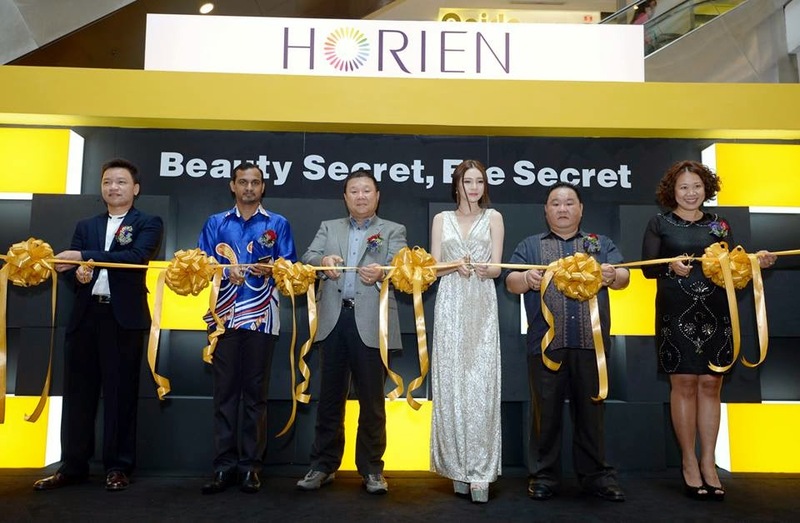 I was invited to the launch of Horien contact lens a while go at One Utama and it was a pretty grand event with even the deputy minister was there for the launch. 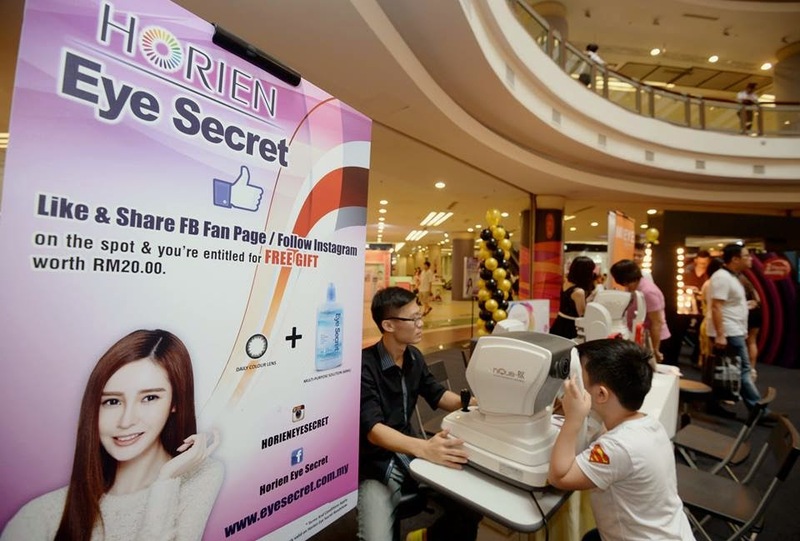 Not only that, to share the great news Horien was giving out free daily contact lens to those who liked their Facebook page so that everyone would be able to experience the comfort of Horien contact lens. The ambassador of Horien contact lens was also present who is Yumi Wong, a renowned artist in Taiwan who recently signed as the brand ambassador. To end the launch with a bang, we were entertained by EleColdXHot with some of their cool dance moves ending it with a pose with the contact lens. Of course like everyone else I liked their Facebook and got one free pair of coloured contact lens to try out at home. So I got the black colour contact lens but honestly because my eyes are rather black you won't really be able to see the difference. It is also a larger diameter contact lens so it will give you larger looking eyes :) The first time I took it out from the packaging I was surprised because it was super thin and light and once I wore it, it really felt so comfortable I didn't feel like I was wearing contact lens. I wore it to an event at Putrajaya and from the photo you can see that my eyes look really large like I had enlarged it using some photo app but nope! It's all real lovelies. I wore it for more than half a day and find it really comfortable. 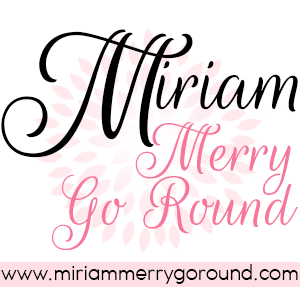 I did not have any irritation or discomfort like I usually would with my regular contact lens and they were really moisturizing. So what do you think of my huge round eyes? Personally although pretty but I do think I am quite satisfied with my eyes. 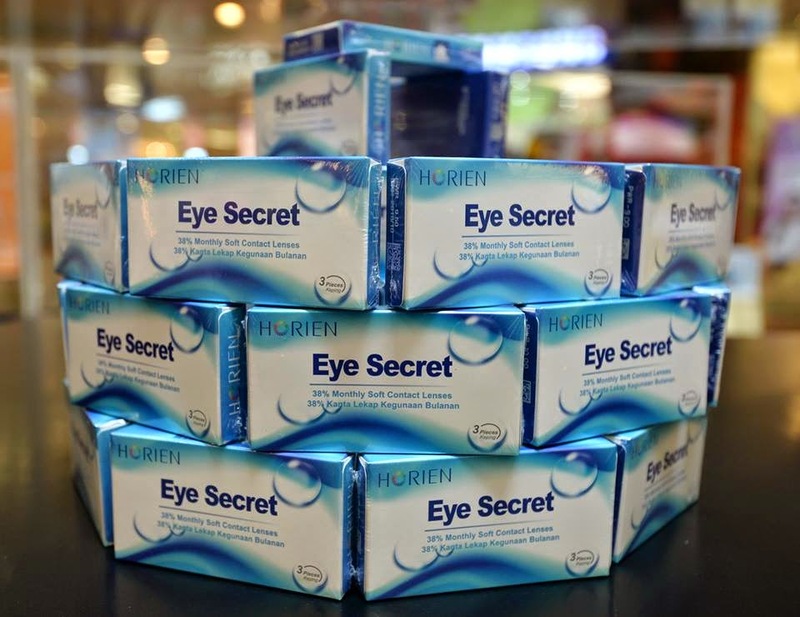 However I would recommend you try the Horien contact lens especially for those with dry eyes or first time users. Time to eat merry goers! 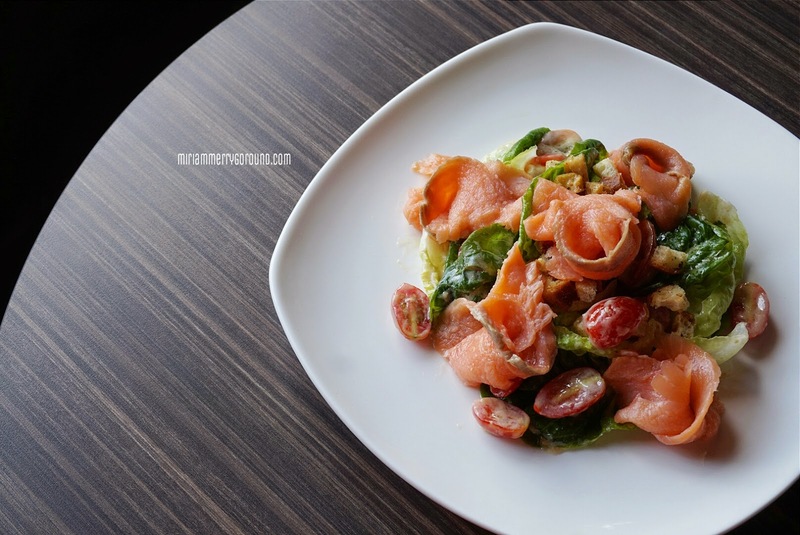 I am a huge fan of salmon from raw sashimi to smoked salmon and I always crave for them. You know the feeling when you order a salmon dish and they just give you some measly bits of it making you crave for it even more? I HATE that feeling! If I'm ordering a salmon dish I expect my cravings to be totally satisfied. Well today I want to share with the best smoked salmon salad that I have eaten and it does not cost a bomb!! 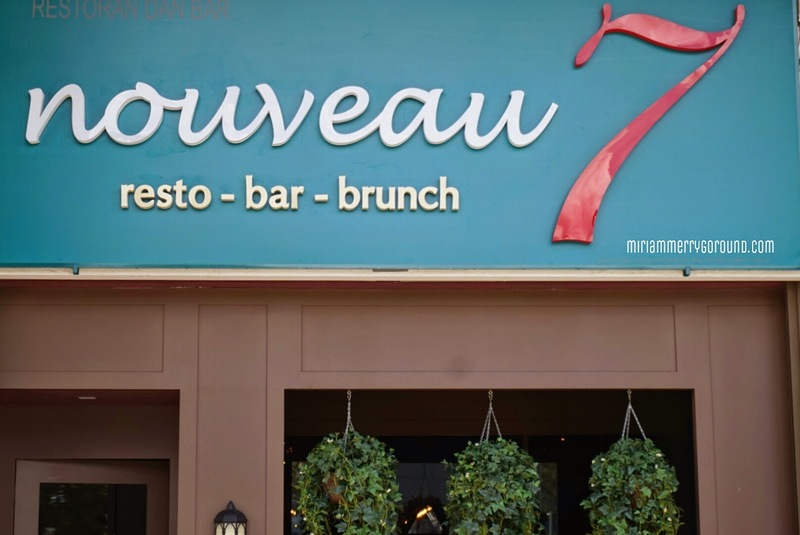 Presenting this Resto/Bar restaurant Nouveau 7, located in 10 Boulevard along the Sprint Highway! 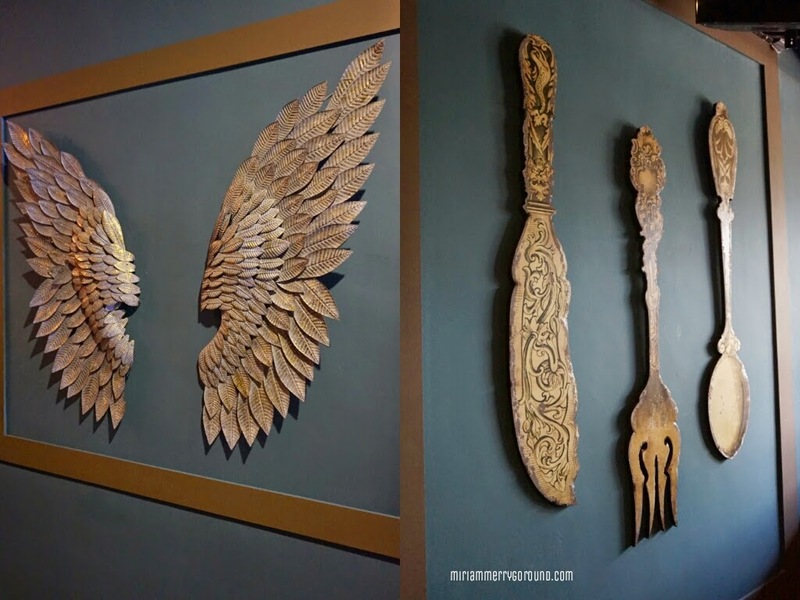 I've visited this area previously for one of the best dalgakbi I've eaten and to my delight I've found another delicious eatery that really should get more attention! 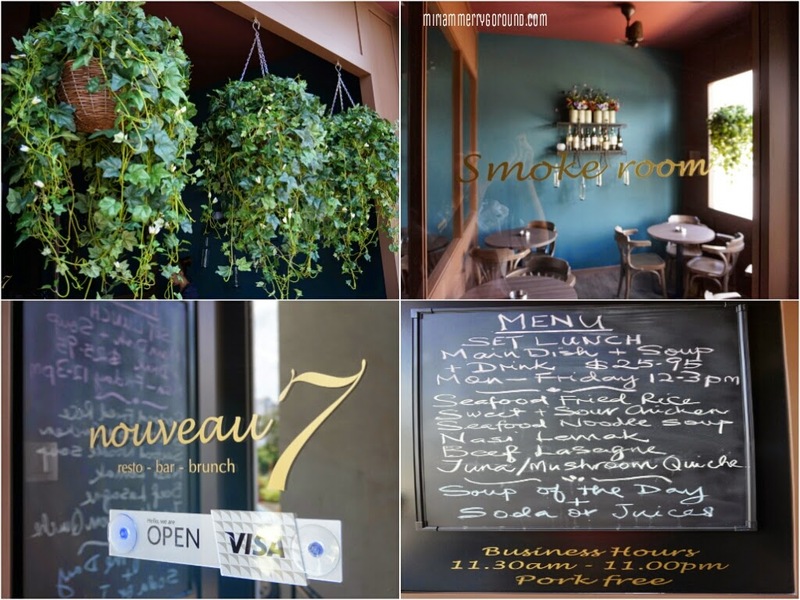 Opened daily from 11.30 am to 11.00 pm, Nouveau 7 serves a really good meal which will satisfy your cravings any day. 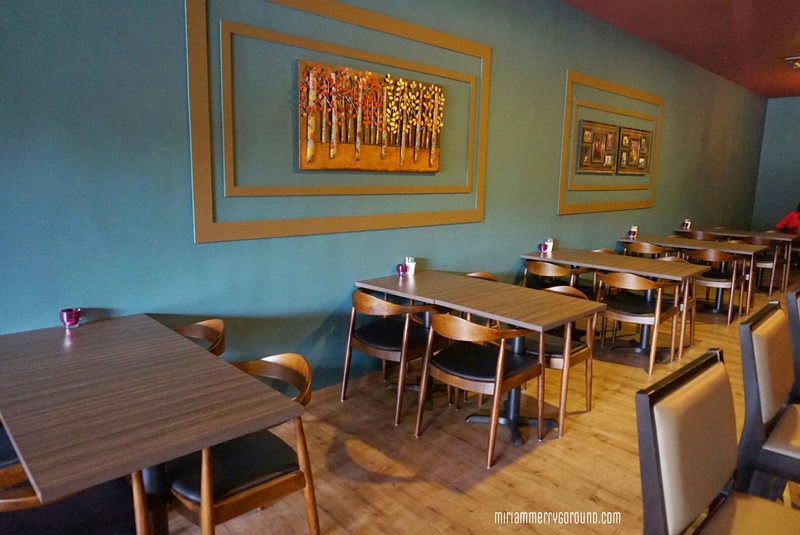 They have set lunch menus which are super affordable and no worries about getting those measly set menu that are not worth your money because Nouveau 7 serves the same portion at a lower price. Enjoy happy hour time with colleagues and friends too after work as Nouveau 7 has a bar which serves quite good booze. 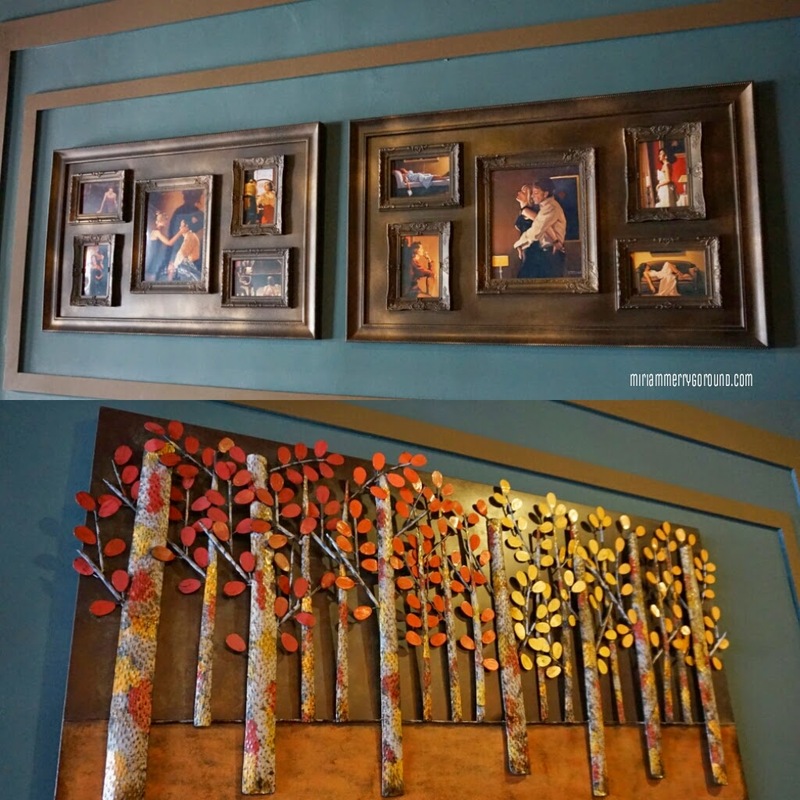 The ambiance of Nouveau 7 is quaint and cosy with warm lights and the decor of the whole place is really exquisite, Love the art decor they hang on their walls especially the large cutlery and the pair of steel wings. 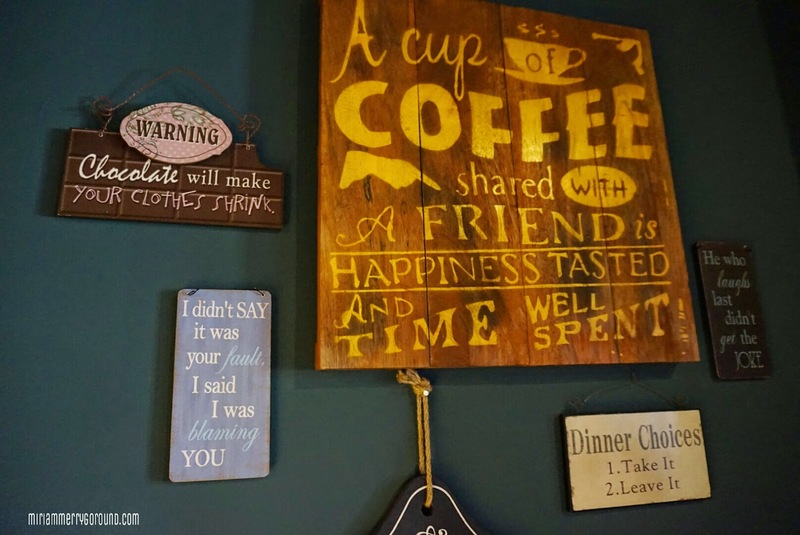 Nouveau 7 also serves really good coffee and cakes aside their main dishes but we will get to that later. 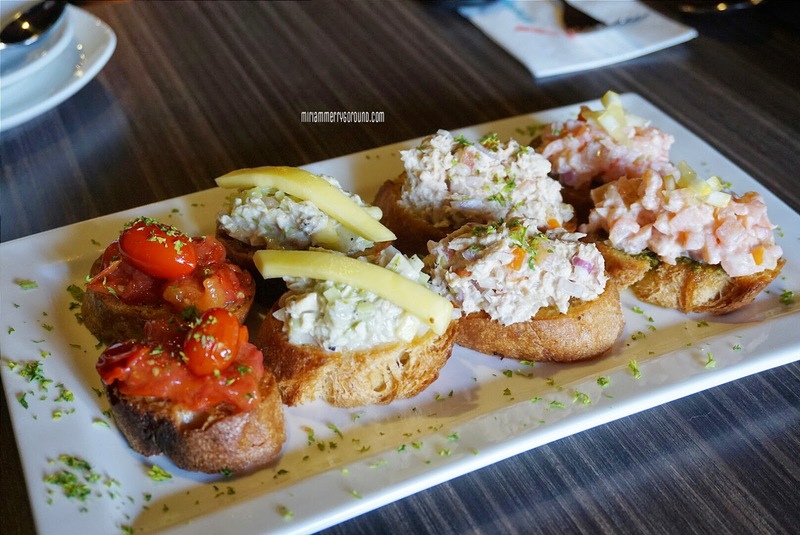 Let us start of with some appetizers where we have the Bruschetta Platter , eight nicely toasted bruschetta topped with four different types of topping. We have the Salmon and Pesto, Tuna and Onions, Chicken with Mango and Tomatoes with Onions on grilled French bread slices. The slices of bread were crunchy and I just love all the toppings! My favourite is of course the salmon topping but the chicken topping with sweet mango slices was another of my favourite. The mango gave the topping a nice sweetness and added more depth to the overall dish. This platter is recommended for sharing. 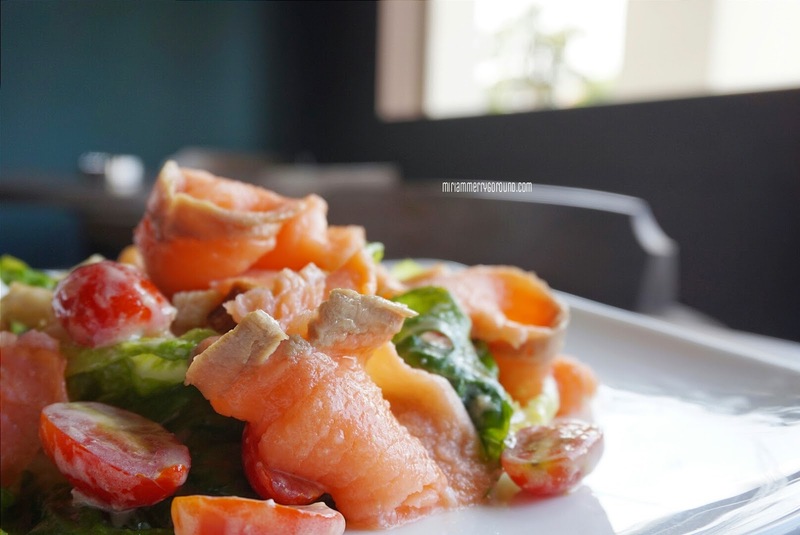 Of course the star of my review today will be the amazing, fragrant, well-seasoned Smoked Salmon Salad. This is an uplift from the normal Caesar Salad with the addition of a generous amount of smoked salmon! Ah the first bite took me to heaven and back as the salmon was well smoked and not too salty. I could not have enough of this and just kept picking at it for more. Just give me this plate of Smoked Salmon Salad and I'll be satisfied. Nouveau 7 also serves several stews and the two stews I would really recommend you try is the Minestrone and the English Lamb Stew. 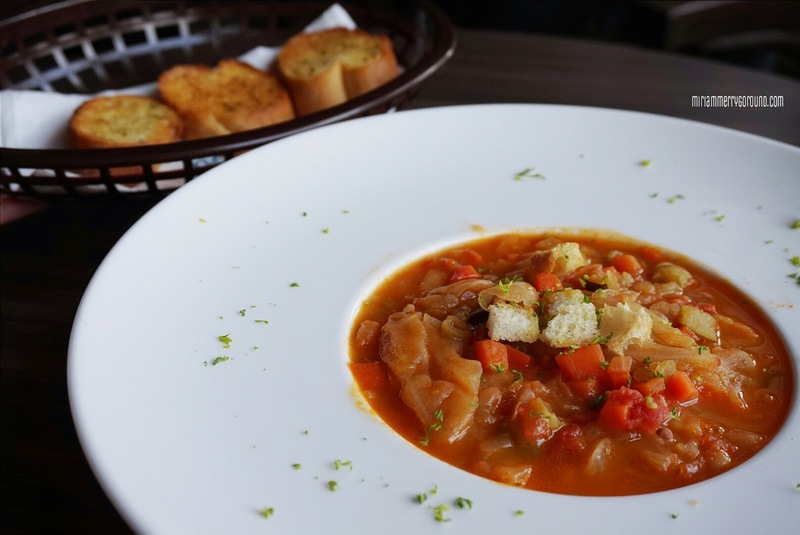 The Minestrone is thick and well-seasoned with a generous amount of ingredients. The one ingredient I have not seen in other minestrone is the addition of beans into the soup giving it a more robust flavour. 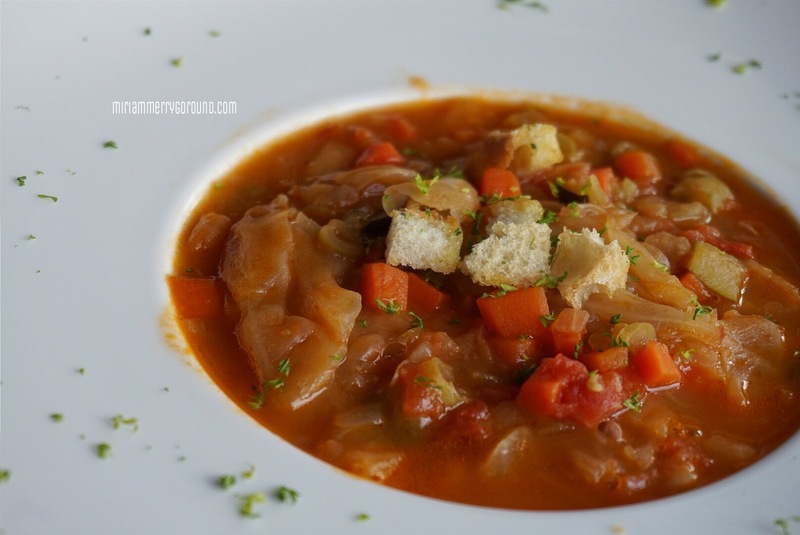 The beans also make this soup a hearty start to a good meal. 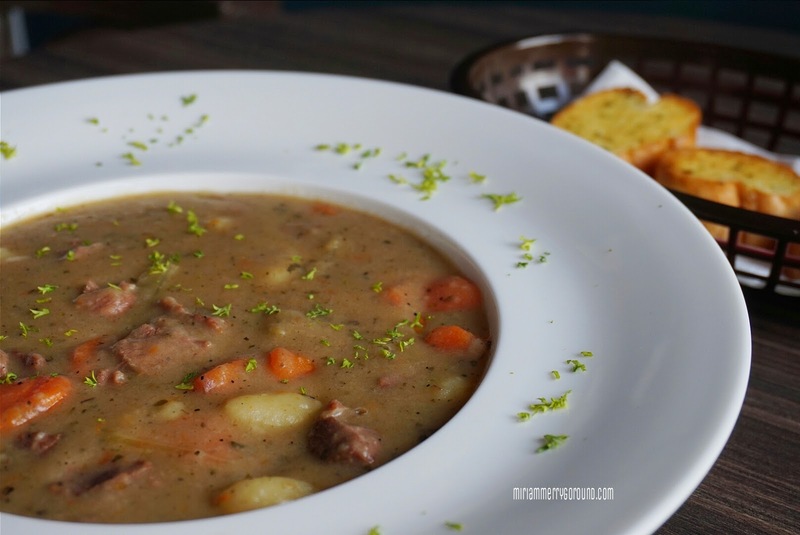 Fans of lamb stew, you just have to try their English Lamb Stew which has a generous amount of lamb pieces which were cooked so tender and still so juicy. This stew is perfect for that day when you just want to have some comfort food to dine on. Dip the garlic bread served at the side into this stew and you will have the perfect comfort food. 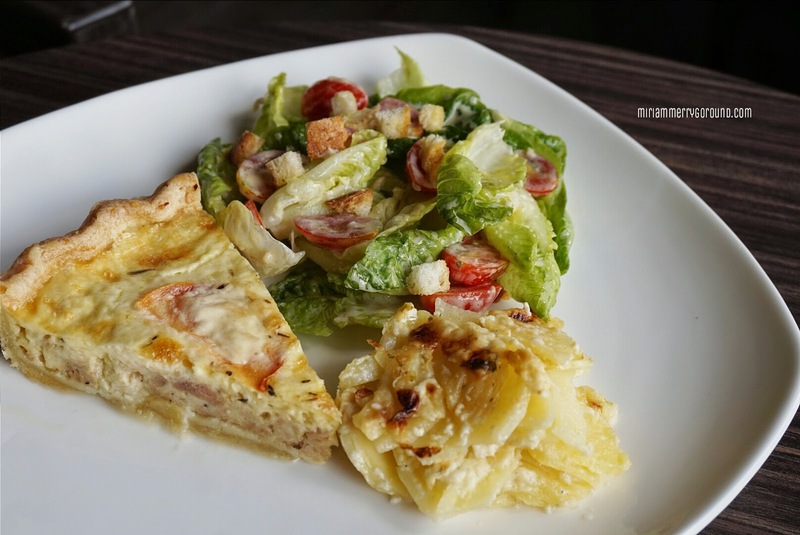 Nouveau 7 serves a wide variety of Western cuisines and one of it is the Tuna Quiche which has Gruyere cheese, tuna, eggs, herbs and cream, savoury baked in open-faced pastry, served with sides of the day. The side of the day was this creamy concoction of baked pumpkin and potato which tasted nearly as good as the quiche. 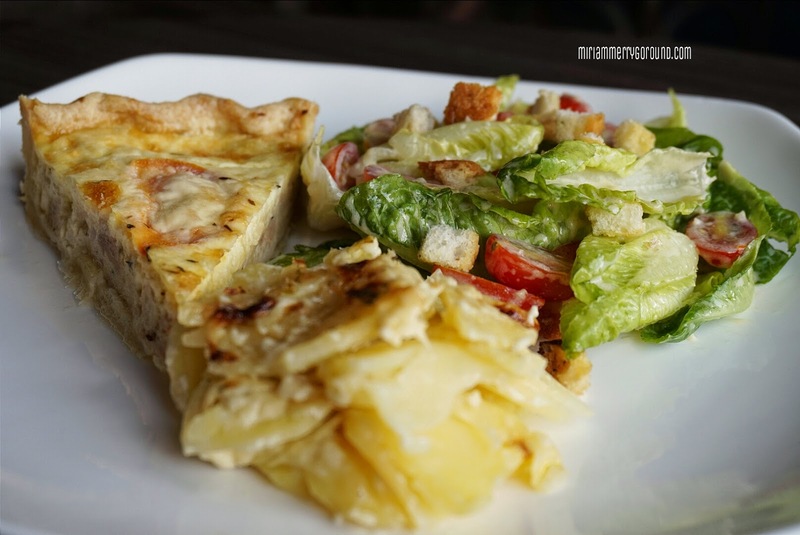 Although tuna is not my favourite kind of fish, the tuna quiche served was really creamy with loads of Gruyere cheese giving you a strong kick in every bite. But of course if we are talking about Western cuisines, we definitely have to try out their steaks. Presenting their Striploin Steak, well marinated and cooked medium rare just the way I like it to be. 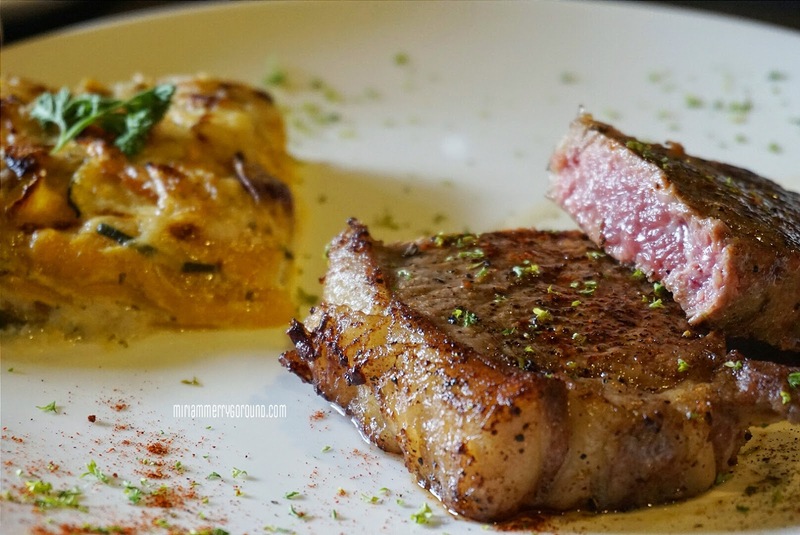 Slightly pink and still juicy this piece of striploin steak melts in my mouth. Of course if you prefer it well-done you can request it to the chef. 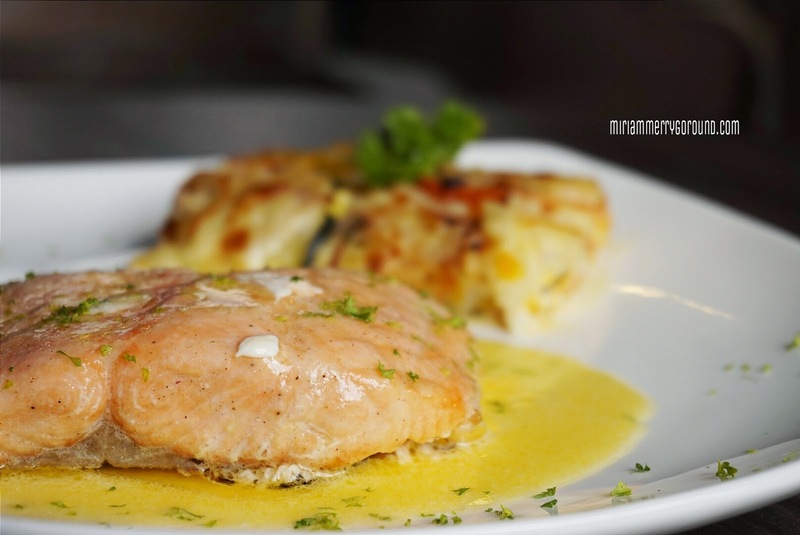 If you are not a fan of red meat, you can opt for their Grilled Salmon Steak which serves a nice chunk of salmon grilled and glazed with a traditional homemade lemon butter sauce. Beautifully grilled, the salmon is not dry and yet flakes off easily retaining that beautiful pink colour. 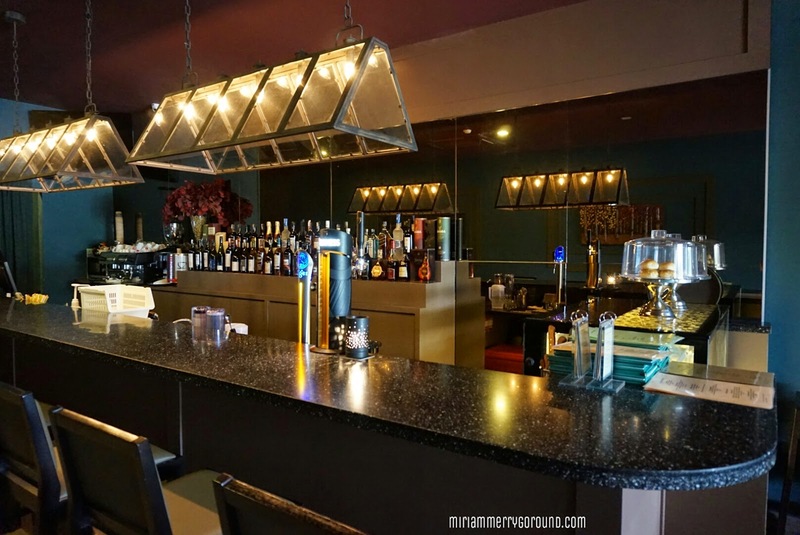 Fans of Asian cuisine, you will be able to enjoy a variety of Asian choices at Nouveau 7 as well. One of the dishes I would recommend is their Seafood Fried Rice. 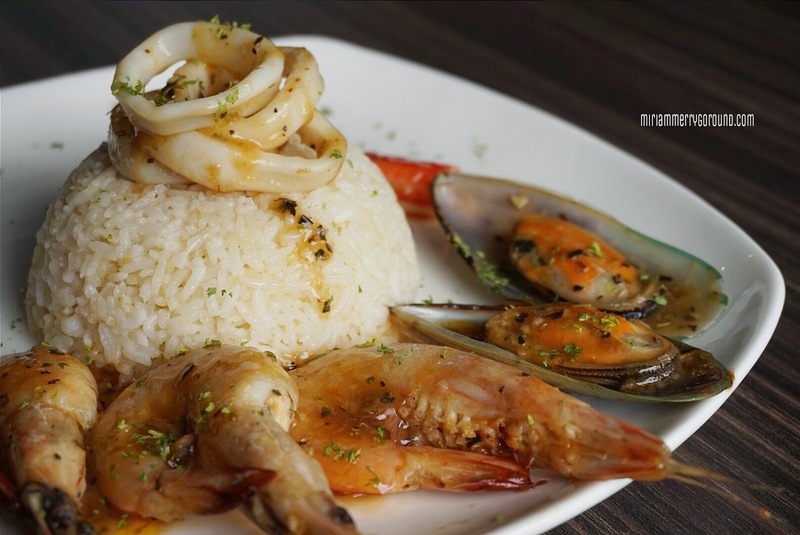 Instead of the normal seafood fried rice where they mix all the ingredients together, the seafood is served at the sides giving it a pretty impression. The rice is buttery and fragrant topped with sliced calamari rings which were well seasoned and cooked. 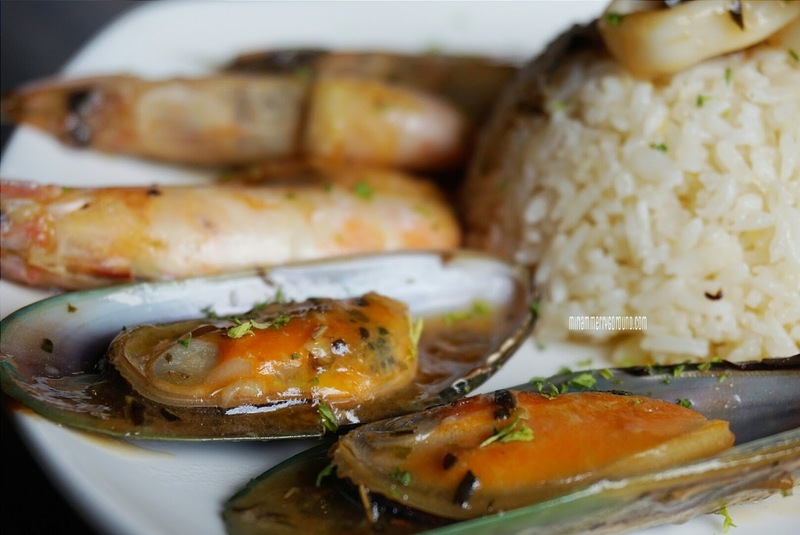 Generous with their portion, just look at the juicy prawns and mussels included in this Seafood Fried Rice. 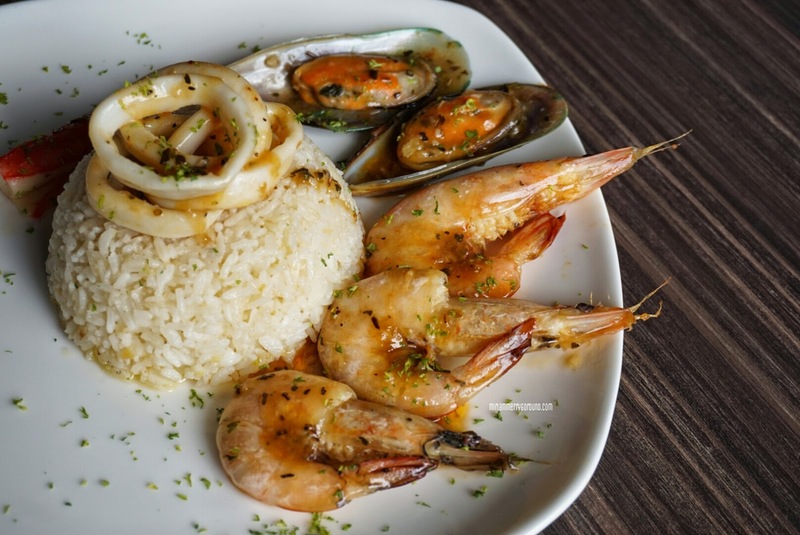 Seafood lovers will really enjoy this dish from the sea. 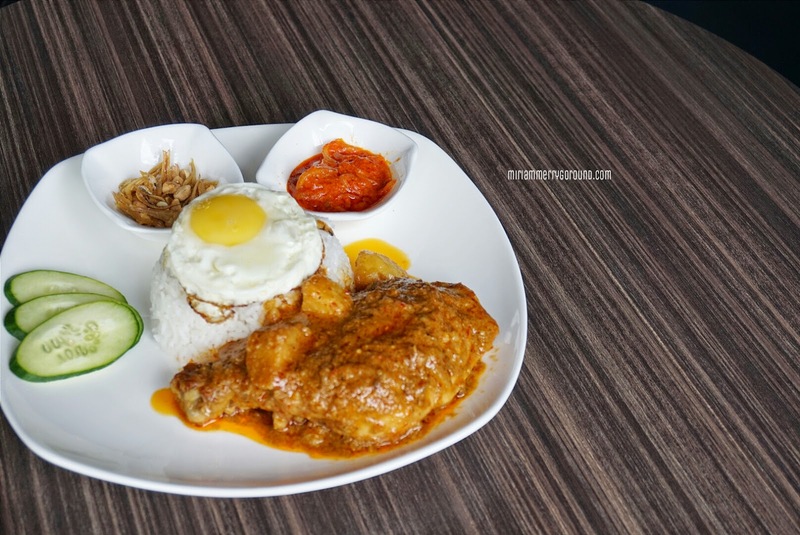 How can we say we are Malaysians if we do not have our all time favourite Nasi Lemak? 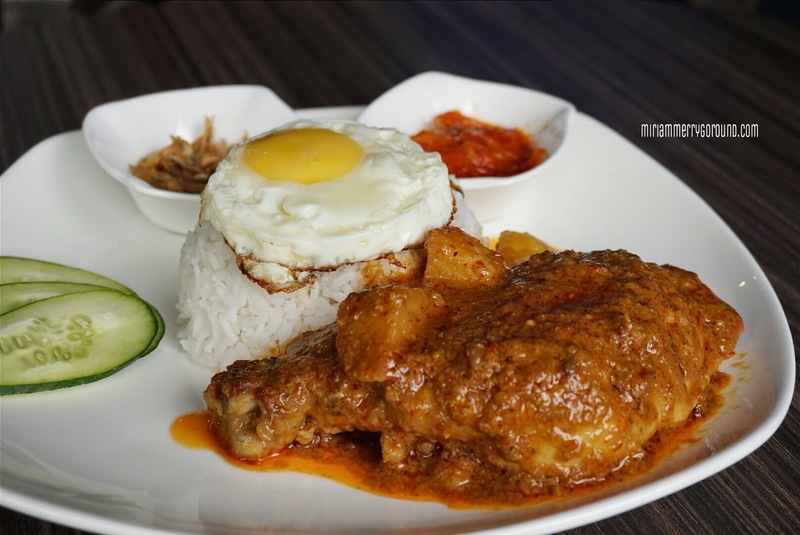 The Nasi Lemak served at Nouveau 7 comes with a huge drumstick cooked in rendang sauce. I was surprised with the size of the drumstick and even some customers who have previously dined at Nouveau 7 asked if it was a chicken drumstick or a turkey drumstick. I am not exaggerating about it! Just look at the size of the drumstick in comparison with the rice and the plate. 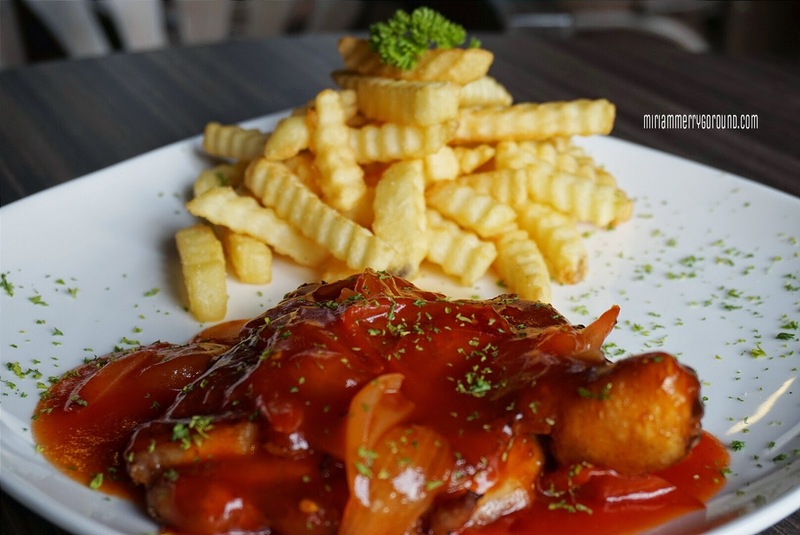 Here's another chicken dish that you may like to try which is the Sweet and Sour Chicken Chop, lightly fried and covered with sweet and sour sauce. 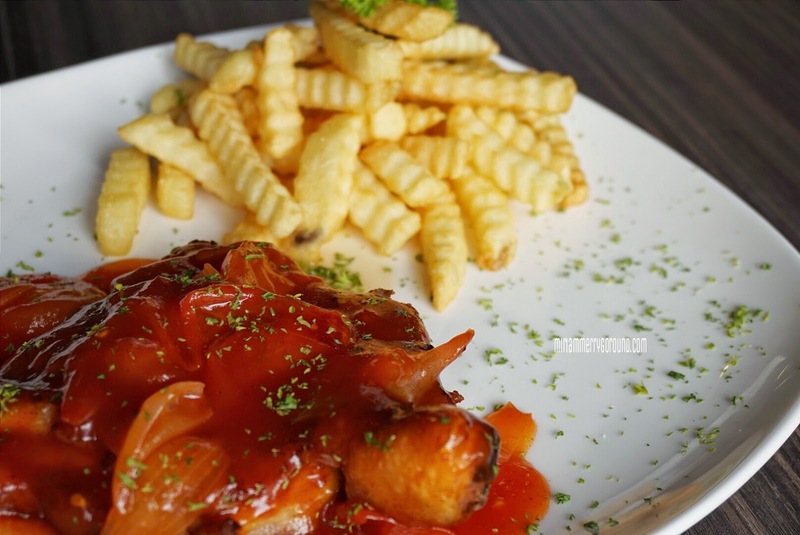 Savoury and sweet, this sauce is rather thick but pairs well with the the fries. I would recommend them to go a little light on the sauce because it overpowers the chicken chop. But I have to complement them in cooking the chicken chop well, tender and juicy. Lastly, as with all of my reviews I will always have to try out the desserts! 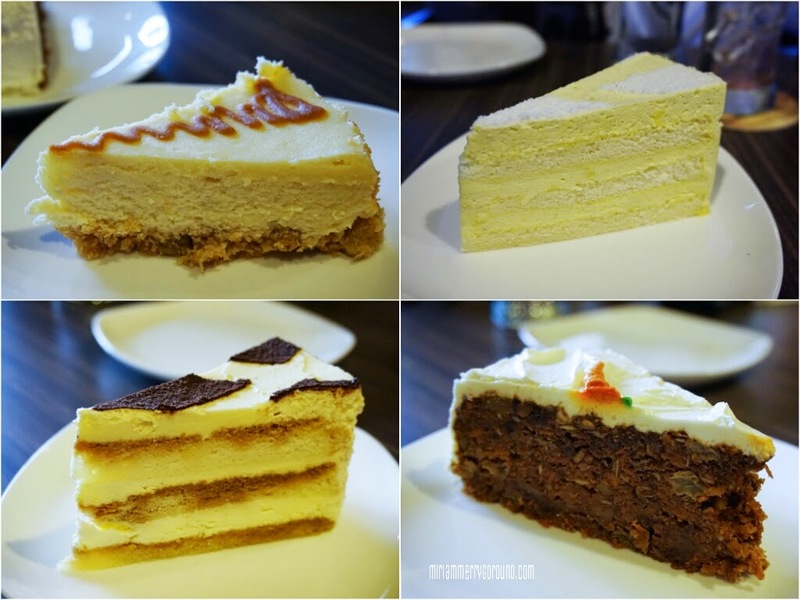 The four desserts worth trying out is the Tiramisu, Carrot Cake, Durian Cake and the Classic Cheese Cake. 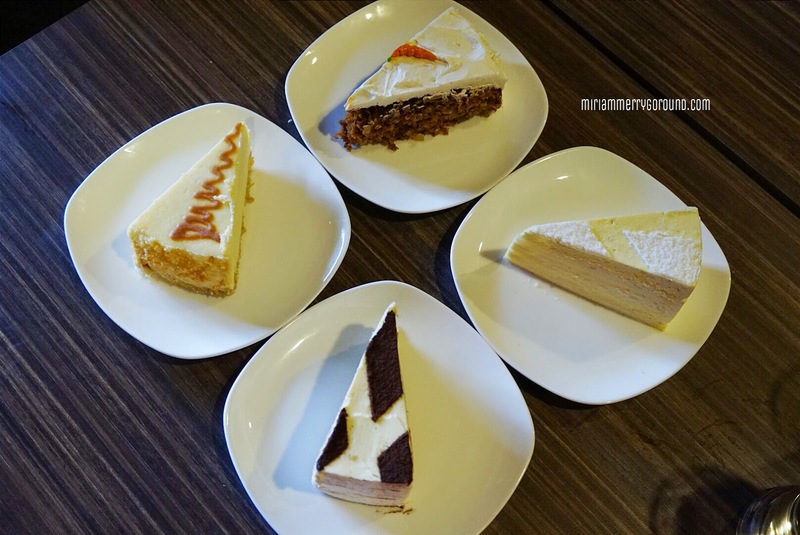 The durian cake is a must especially for durian lovers as each layer of the sponge cake has a thick layer of durian cream made from D24 durian flesh. The classic cheese cake is thick and creamy with a nice crunchy base. All the cakes are made by Nouveau 7 and homemade by the chef.